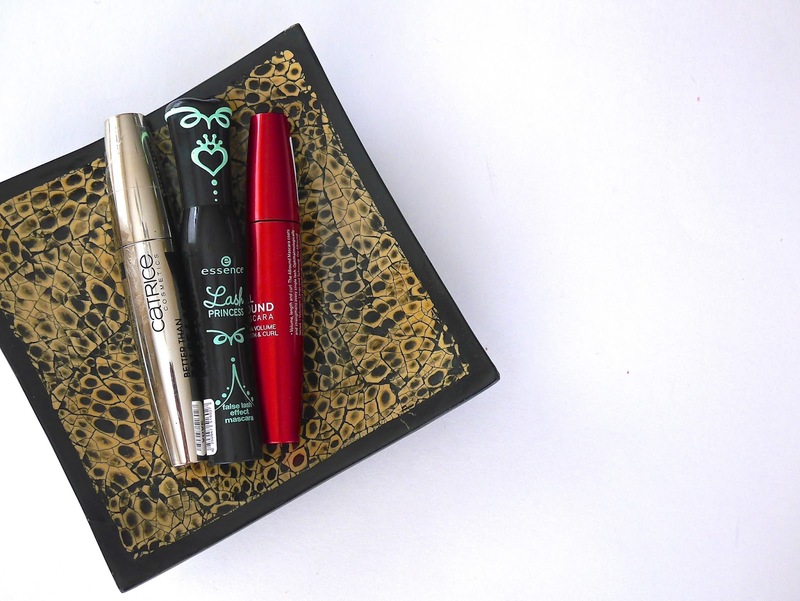 Mirror Mirror on My Wall, Which Drugstore Mascara Is The Fairest Of Them All? It's no secret that I am what many would consider a late bloomer in the makeup world. While the majority started wearing makeup in their teens, I only started wearing makeup when I was working. Throughout high school the only makeup I used was lipstick and back then I hated the feel of it on my lips. But since my mum was more than happy to keep reminding me how ill I look without one, I made sure to always wear lipstick whenever I was out of the house. I guess it is safe to say that my dislike for lipsticks has long changed into a full blown obsession. While bronzers, concealers and highlighters are my newest discoveries and additions to my stash in the past 3 years, mascaras have long been present in my makeup life. And for as long as I can remember, they have been the bane of my beauty life. My lashes are everything that everyone would wish, hope and pray not to get; stubbly short, stick straight actually scratch that, they are pointed slightly downwards (yippee! ), sparse as hell and very fine. Basically I need a miracle mascara to save the day or in this case, my lashes. And my quest to find the perfect drugstore mascara has been a very long one, so long that sometimes I can't even remember what I've crossed paths with over the years. 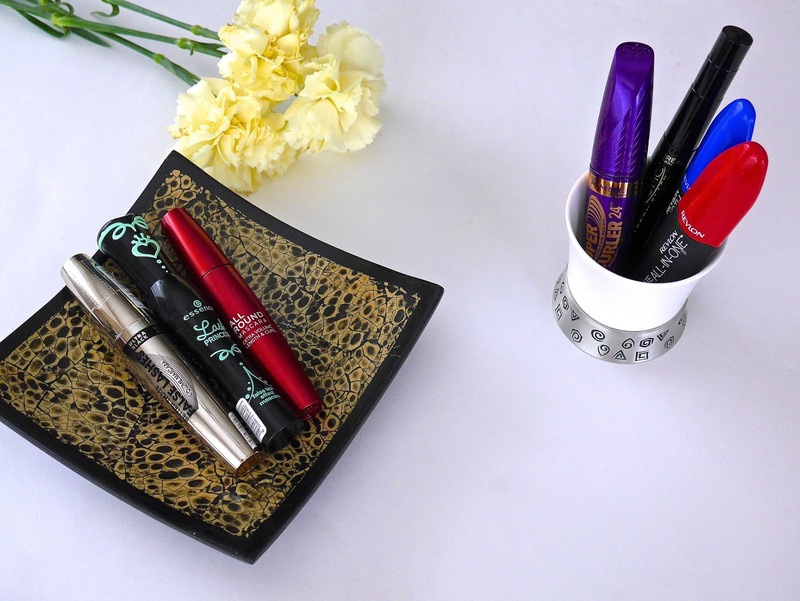 Earlier this year I went a touch hog wild purchasing a ton of mascara and after putting each to test for a couple of months, today I'm sharing how I got along with each. I do have to apologize for not having pictures of how each mascara looks on my lashes, I found out that the pictures were all blurry and nothing I could do to save them. And by the time this post was drafted it was too late for me to retake everything unless I want my lashes and eye lids to fall off with the reapplication and removal process for each mascara. My sincerest apology for that. I had no idea what to expect when I purchased L'Oreal Telescopic Carbon Black other than it seems to be a firm favourite and a holy grail title holder for many. The wand is tiny, almost flat with little teeth like comb that took some getting used to. The first application was a mess, not even a hot mess but just a bloody mess. I had mascara on my lids, inside my eye (don't ask 'cause I don't know) and my lashes was stuck together as a united front meaning I looked like I had three lashes on each eye. I persevered and gave it a second try a few days later and it was love ever since. The formula which was initially very wet dried down considerably within a few day and it coats, separates and lengthens lashes beautifully. 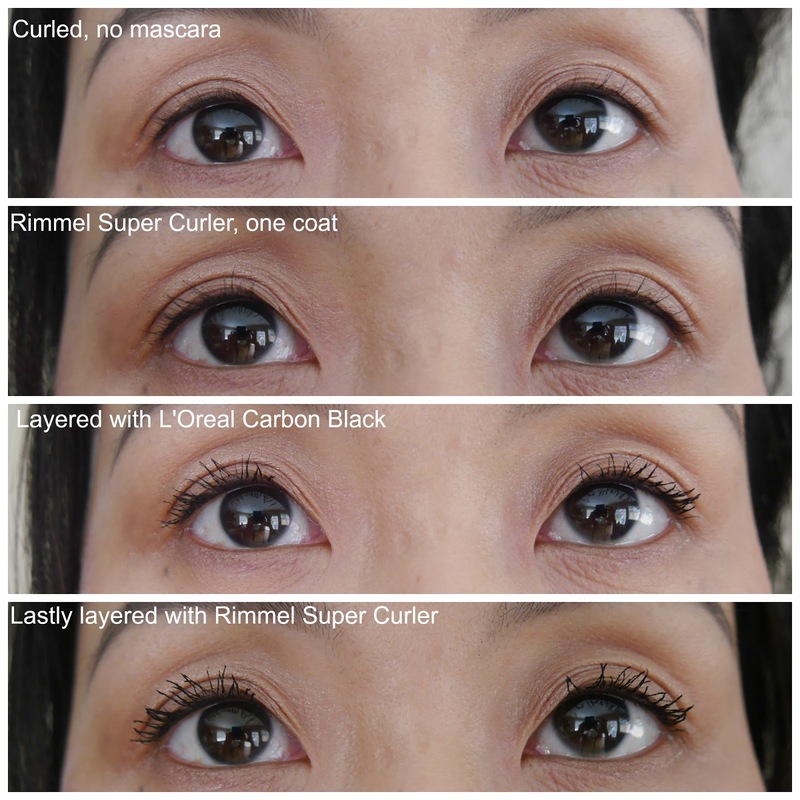 It also holds a decent curl and it's everything that I could ask for in a mascara. Holy grail? Maybe but for now I'm keeping my options open and because I'm a wild one who refuses to be tamed, I'm straying to others in hopes there's one that's better. Maybe it's wishful thinking but we shall see. Revlon mascaras have big claims, huge promises but neither delivered. Both remind me of a hot foreplay that ended up with a 3 seconds of 'wham bang, thank you ma'am'. You have such high hopes only to be let down by what the f*ck just happened?! Revlon All-In-One is the one that is heavily promoted on TV adverts and is supposedly the miracle mascara that does everything; length, volume, lift, definition and intense colour. It gives a little length, good volume and it holds a bit of curl but most times it's clumpville. The worst part? This mascara flakes like crazy on me! Revlon Volume+Length Magnified Mascara...yes to length, volume my arse. This mascara doesn't flake but it doesn't build either. If you have poker straight lashes then skip this, it didn't hold the curl at all. I looked like I had a bunch of long, skinny lashes meant to stab you in the eye. I have to combine both Revlon mascaras to get a decent wear; first layering All-In-One then a coat of Volume+Length and finally, another layer of All-In-One. I can make it work but it takes effort and I don't like effort with my mascaras. Essence Lash Princess is anything but a princess, it's the Queen of thick, gloopy mess. Mind you, not even a hot mess but just plain old f*cking mess. My fine lashes stood no chance with this as there are little splotches of mascara stuck to my lashes each time. There's no saving it. Catrice Better Than False Lashes started out good and I actually liked it but it went downhill quickly. The more I used it, the more bleh! I felt about it. I can't quite explain why I don't like it anymore other than I feel it doesn't do anything for my lashes and if I layer too much then the tip of my lashes will start to curl downwards. 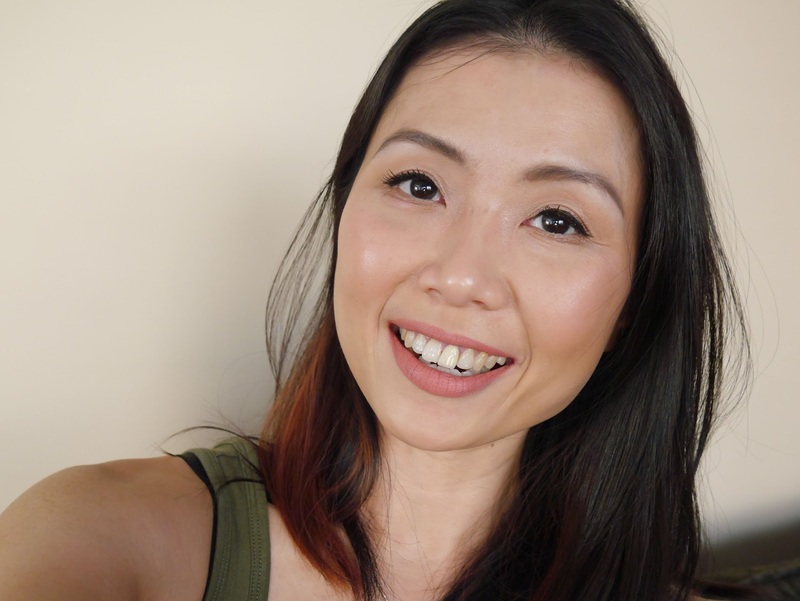 It's not as severe as Marcelle X-tension Plus mascara (reviewed here) but close. 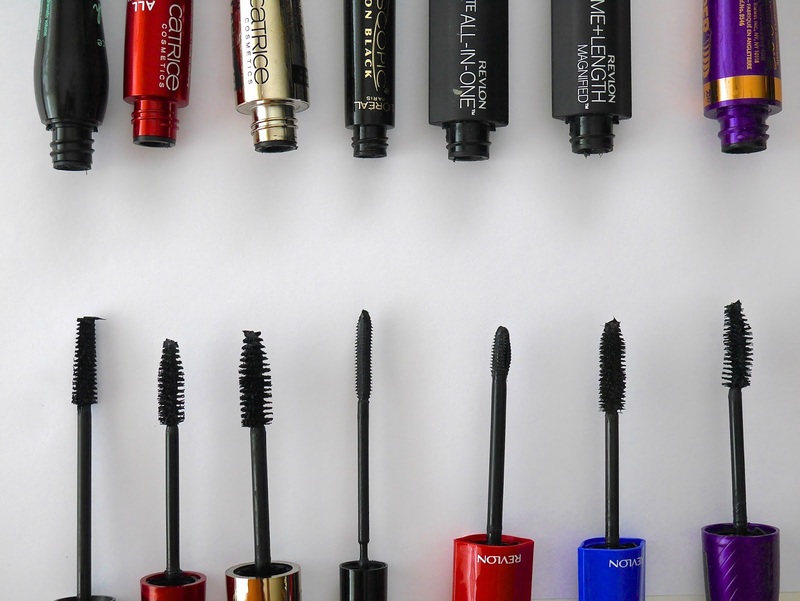 Have you tried any of these mascaras and please leave suggestions for which drugstore mascaras you would like me to try next. Or tell me what is your favourite drugstore mascara in the comments below and I'll check it out!